Shellie Byers - Yesterday my legs decided to cause me the worst pain I have felt in months. I could barely lift my legs to get in my vehicle. It was torture trying to walk in the stores even a few hours and by the time I got home some serious swelling and discoloration had taken over. When I got home I had no choice but to go into the upper rooms of my house. Well there are 14 narrow steep steps to climb. Every few steps I would stop and cry and try to force myself to lift my leg to the next step. 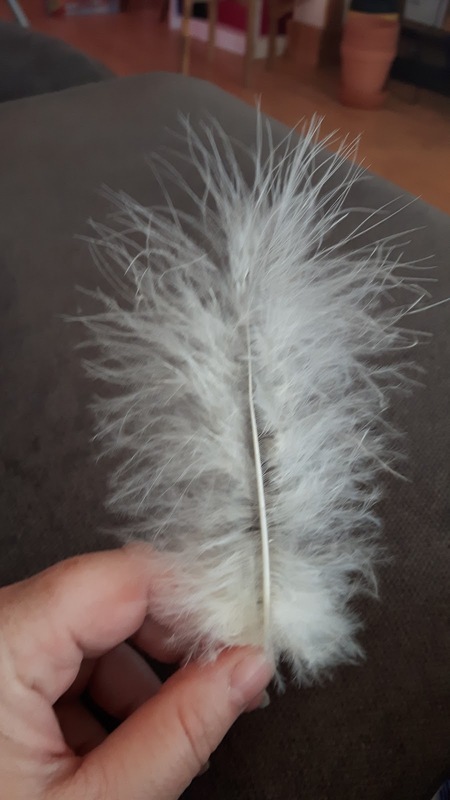 I was about 3/4 of the way up , looking down at my bare feet trying to press through the last set of steps when I felt a light brush on my left foot and there in front of me was a pure white angel feather. I knelt down and picked it up . I took a deep breath and finished climbing those stairs.